Jena Holland, the lead hydroponic grower in GrowSpan’s very own greenhouse center, recently gave an inside look at the propagation process. She discussed the mediums and methods used in the GrowSpan greenhouse to propagate hydroponically grown plants, along with a few tips and tricks for growers to implement. 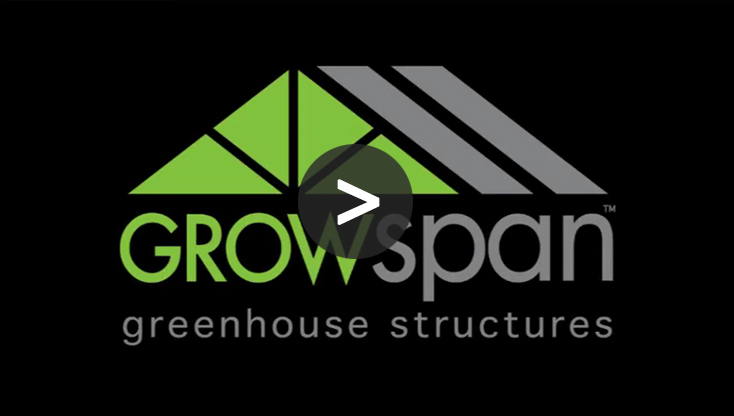 Watch the first video in the three-part propagation series below to learn more about the cultivation methods of GrowSpan’s specialists. Simply put, propagation is the process of using part of one plant to grow another. Most gardeners have taken part in propagation at one point or another by using a leaf or stem cutting to grow a new plant. In this video, propagation is shown using seeds and a rockwool substrate, as this is what GrowSpan specialists have had the most success with growing inside the greenhouse on such a large scale. Jena also discussed the important process of trial and error and side by side testing within the greenhouse. These experiments are important for any grower, helping them to discover the best growing methods and materials to use for an optimal harvest. With hydroponic growing, there isn’t always a right and wrong, but rather a series of adjustments to make in order to find the best growing method for your greenhouse and specific crops. Request a Quote to receive more information on HydroCycle hydroponics systems form GrowSpan.